A few months ago, while searching YouTube for some new stuff from John Zorn, I found a concert held in 2013 as part of the Warsaw Summer Jazz Days. It featured Zorn’s Song Project, which I hadn’t heard before, so I decided to check it out. The gig looked very promising, with an all-star band that included – among others – John Medeski, Marc Ribot, Kenny Wollesen (all of whom I listen to frequently) and even freakin’ Mike Patton on vocals. From the beginning – where Patton goes characteristically crazy on a vocal remake of Zorn’s “Batman”– the concert delivers in spades. Two other vocalists had been invited to write lyrics for some of Zorn’s instrumental songs: Jesse Harris and Sofia Rei. I wasn’t familiar with Rei, but since one of the world’s most versatile composers invited her to be in his band, my expectations were pretty high to begin with. To say that she merely exceeded those expectations would mean to make an understatement of such gravity that I would be immediately disqualified from the prestigious brotherhood of people who write for a living. When Rei followed Patton on stage to deliver her version of “Besos de Sangre”, I was absolutely speechless for the first time in a very long while. In less than a minute “Besos de Sangre” became one of my favorite songs and Sofia Rei became one of my favorite singers. If you don’t believe me, here’s an article I wrote called The Music and Myth’s Top 5 Female Vocalist, with Sofia placed at number 2 behind only Patricia Barber – though at this level the top two positions could easily be interchangeable. Overall, the Warsaw concert is great and every performance is amazing but, in my opinion, Sofia Rei completely stole the show. She was featured on three more tracks as a main vocalist: “La Flor del Barrio”, “Book of Shadows” and “Tears of Morning” and she shined in all of them, providing one of the most delicate yet passionate performances I’ve seen in years. With that being said, I wanted to find out more about this talented musician who, in one single performance, has captured my attention like few before her. Born in Argentina and currently residing in New York, this young vocalist – who also teaches at the Berklee College of Music – has already released three solo records: Ojalá (2006), Sube Azul (2010) and De Tierra Y Oro (2012). Now, the purpose of this article is to talk about her most recent release, but I felt that her performance in the Song Project deserved its own mention. Anyway, at the start of June, when De Tierra y Oro (Of Earth and Gold) arrived in my mailbox, I couldn’t wait to play it. I was already a fan of Sofia as a vocalist, and I hadn’t even had the opportunity to hear much of her own work outside of a couple of older songs on YouTube. Armed with a bottle of 2011 Pinot and with my wife by my side to help me translate the lyrics since I don’t speak Spanish, I played the record and made an evening of it. I expected to like this record just based on the expressive power of Sofia’s voice alone, but I did not expect to love it as much as I do. In fact, the last two albums I instantly adored with the same passion were Patricia Barber’s Smash and Gregory Porter’s Liquid Spirit. Just to give you a general idea: the latter won a Grammy just this year while I’ve awarded the former my inaugural Music and Myth Award for best vocal record of 2013. Without a doubt, De Tierra Y Oro is in the same league. The record’s eleven songs, most of which are written by Rei, are story-driven “philosophical wanderings”, as she herself calls them. They form a broad tapestry of vibrant South American musical culture, intertwined with the pensive depth of Jazz. This is, however, not merely “Latin Jazz”. Instead, the artist creates her own musical identity, a sound which studies the South American themes and pays homage to the folklore without remaining strictly within its boundaries. The songs speak of love and loss, cultural identity and adventurous curiosity, spiritual struggles and earthly yearnings in a tone that is sometimes vigorously narrative and other times sublimely lyrical. Every great record needs a powerful opening track (see “Code Cool” and “No Love Dying”) and “La Gallera” (The Cockpit), a vivid recount of a cockfight in Cartagena, is an excellent choice. From the very first second, Sofia’s powerful, haunting voice beckons the listener with the enchanting magnetism of a siren’s song, introducing the rest of the sounds which then proceed to reveal themselves in layers (first background vocals, then percussion, then bass and guitar). This has the effect of quickly getting the listener emotionally invested and gives the impression of a very well-structured work. Throughout the album, the intense, raw-sounding rhythm section creates a striking contrast with Sofia’s emotional delivery. That gives De Tierra Y Oro its unique sound. The band, formed of bass player Jorge Roeder, percussionist Yayo Serka and guitarist Eric Kurimski along with a great number of guest musicians, provides a complex instrumental background characterized by good timing and attention to detail. The second song is the title track. In my opinion, it‘s the highlight of the overall stellar album. According to the musician, it is a song about “all the contrasts you go through as a performer”. Its dynamic construction is absolutely flawless. The climax, with Sofia’s soulful cries over the sound of Josh Deutsch’s flugelhorn (at around 3:50 minutes in, if you want to be exact), is a breathtaking and masterful example of musical storytelling. I have actually used this particular song to help me develop a climactic scene in the novel I am currently writing. It helped me overcome a point that had me stuck. I think the power of inspiring another artist is a pretty big accomplishment for any work of music. The next song is the slightly more laid-back “El Sauce” (The Willow), a wise choice after the emotionally draining “De Tierra Y Oro”. It features some great interplay between Sofia’s voice, JC Maillard’s electric guitar and a really fun marimba, courtesy of Diego Obregon. 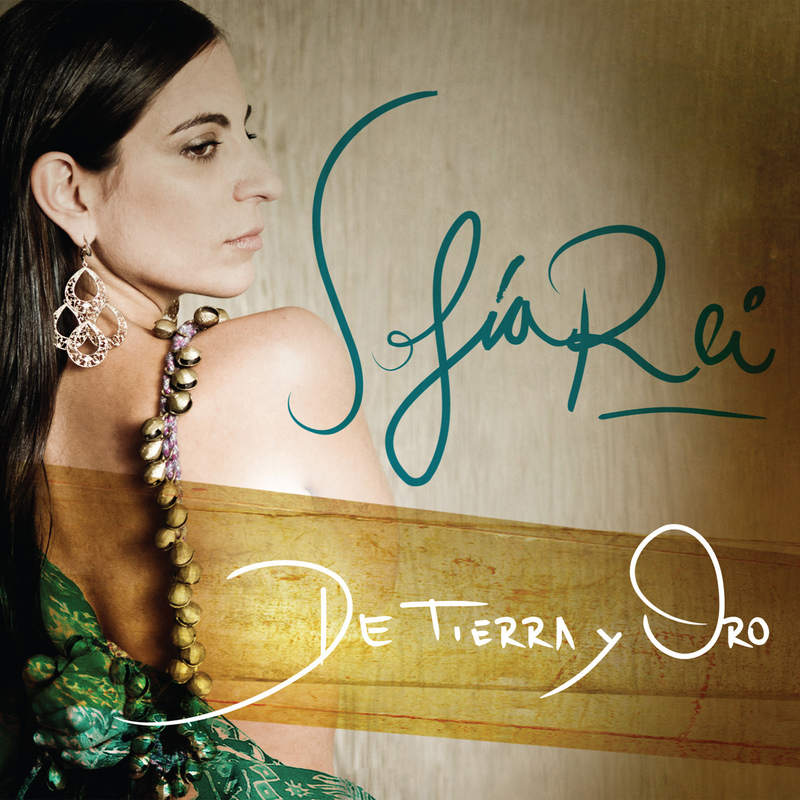 In “Risa” (Laughter) Sofia’s hypnotic enunciation, combined with Celso Duarte’s charango and the solidity of the drums in the verse, collide with the trumpet and the vocalist’s impassioned carnival-shouts in the chorus, creating the musical equivalent of fireworks over a clear night sky. Positioned so as to be the centerpiece of the record, Sofia’s version of “La Llorona” (with the moody and cerebral solo bass track “El Lloron” serving as an intro) is everything a cover should be. It keeps the spirit of the traditional Mexican song, but the sound is completely adapted to fit Sofia’s particular musicality. It’s also a lovely example of the chemistry the vocalist has with her long-time bassist and collaborator Jorge Roeder. Sofia’s passionate delivery of the haunting story, where she switches from sensual whispers to wraith-like shrieks, would have certainly made Chavela Vargas proud. The record continues with the thoughtful and delicate “Todo Lo Perdido Reaparece” (“Everything That Has Been Lost Reappears”) with beautiful lyrics by Sandra Cornejo, before switching gears with “Mundo Piedra” (“Stone World”) and its catchy rhythm and hypnotic sound-effects (including Sofia’s own high-pitched shrieks). “Noche” ( “Night” – dedicated to Argentina) has perhaps the tamest, most “traditional” sound, which is fitting given its topic. In “Poesia Illegal” (“Illegal Poetry”) Sofia gets to show off her own poetry (Blind acrobat on a sea of ink/ Words leaking onto a piece of paper). Though I have avoided using many examples for fear of losing the complexity of their meaning in translation, the quality of the lyrics is impressive throughout. One of my favorite examples is in the brilliant closing track “Arriba” (“Up” – dedicated to “the idea of God”) where Sofia, in wonderful multi-layered vocals over the delicate sound of a harp, sings “I haven’t known you for long/ I don’t know if you are who I think you are/ But if the tears come/ You appear and dispel the fear”. After listening to it repeatedly over the course of the last few weeks I really can’t find any weakness in this record. You can feel the dedication and heart that has been put into creating it, by everyone involved. The music is intricate and mesmerizing, the lyrics are thoughtful and sensitive and the track placement is well thought-out and strengthens the narrative. The more I discover about Sofia Rei’s work – not only as a vocalist but also a songwriter – the more impressed I am. Truly, De Tierra Y Oro is one of the best records I’ve heard in the last few years. An expressive masterpiece of musical storytelling, created by one of the world’s greatest vocalists. I highly recommend it!